The Nottinghamshire ASA County Championships 2019 saw pupils Breanna Chamberlain and Jake Franse and Matthew Pavier win medals and gain new regional times. Breanna won seven medals personally, plus one in a team relay and also achieved two new regional times in the 800m and 1500m free. Overall, Breanna came 3rd in her age group, just short of 2nd place, a fantastic achievement as Breanna faced older and more experienced competition. 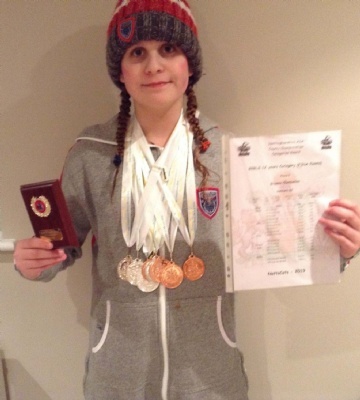 Jake took home three medals, two bronze and one silver, as well as achieving an outstanding seven regional times. Worksop College pupils James and Kate Walker also represented at the County Championships, with Kate achieving a regional time in the 50 freestyle event. Both Breanna and Jake will join pupils Matthew Pavier and Kate Walker at the East Midlands Regional Championships in April. Year 12 pupil, Cole Hewitt has been in Thailand this month training in preparation for British Championships. Cole had a busy start to 2019 representing Wales in the LENS European Swimming Championship – Luxembourg and has been selected to represent East Midlands in English Schools Championships alongside Breanna Chamberlain, Lucy Gratton and Harri Thorman. Cole’s current British rankings are, 3rd - 100m Butterfly, 5th - 50m & 200m Butterfly.